The first settlers arrived in Port Washington in 1835. General Wooster Harrison became the town's first settler, laying out 16 acres of the gently sloping land at the mouth of Sauk Creek, In 1848, following years of petitioning Congress, money was budgeted for building a lighthouse at Port Washington. As most settlers came by ship, Port Washington became a port of call for all types of boats, from popular passenger steamers to the little cargo schooners that carried everything from potatoes to whiskey, as well as local fishing boats. 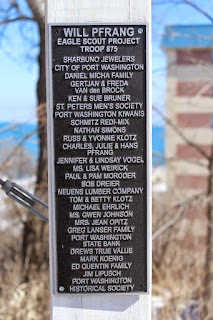 Located halfway between Sheboygan and Milwaukee, it became a frequent stopping off point for ships along the western shore of Lake Michigan. The marker is located adjacent to the Port Washington Light Station, located at 311 Johnson Street, Port Washington, Wisconsin 53074. 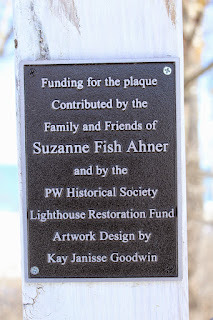 The lighthouse is listed on the National Register of Historic Places: Wisconsin. The 1849 free-standing lighthouse tower was demolished. The keeper's quarters were rebuilt in 1860 incorporating several exterior walls into the new dwelling. 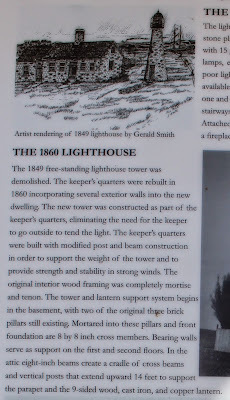 The new tower was constructed as part of the keeper's quarters, eliminating the need for the keeper to go outside to tend the light. 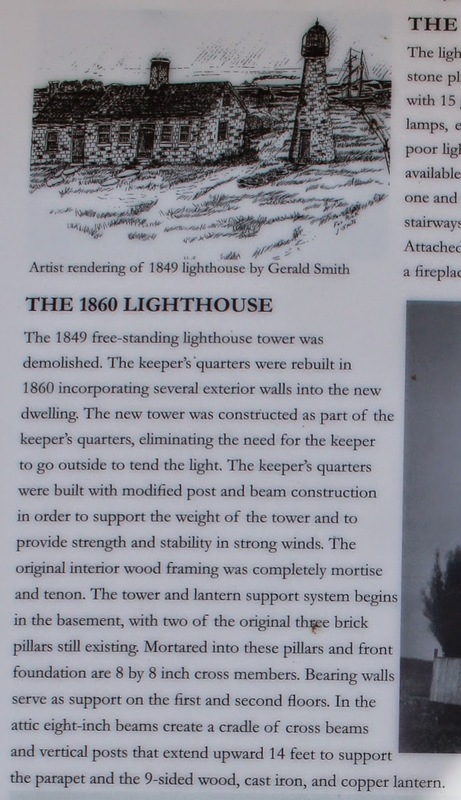 The keeper's quarters were built with modified post and beam construction in order to support the weight of the tower and to provide strength and stability in strong winds. The original interior wood framing was completely mortise and tenon. The tower and lantern support system begins in the basement, with two of the original three brick pillars still existing. Mortared into these pillars and front foundation are 8 by 8 inch cross members. Bearing walls serve as support on the first and second floors. In the attic eight-inch beams create a cradle of cross beams and vertical posts that extend upward 14 feet to support the parapet and the 9-sided wood, cast iron and copper lantern. The light emanated from a 35-foot round free-standing brick tower capped by a 12 1/2 inch stone platform topped by a cast iron octagon lantern. Each side of the lantern was filled with 15 glass planes 12 by 18 1/2 inches. The light was created by five Winslow Lewis patent lamps, each fitted with a 14-inch silver coated reflector. Although the lamps produced poor light, they used little whale oil, so they were utilized despite better technology being available. A sixth order Fresnel lens was installed in 1857. The brick keeper's dwelling was once and half stories high and measured 20 by 34 feet. Two rooms divided the space, with stairways to the basement and the attic. The steep roof covered meager sleeping chambers. Attached to the main house was a 12 by 14 foot kitchen, with a shared brick wall that had a fireplace on each side. Due to increased settlement and shipping traffic, two slips were constructed between 1867 and 1870 to complete the nation's first artificial harbor. 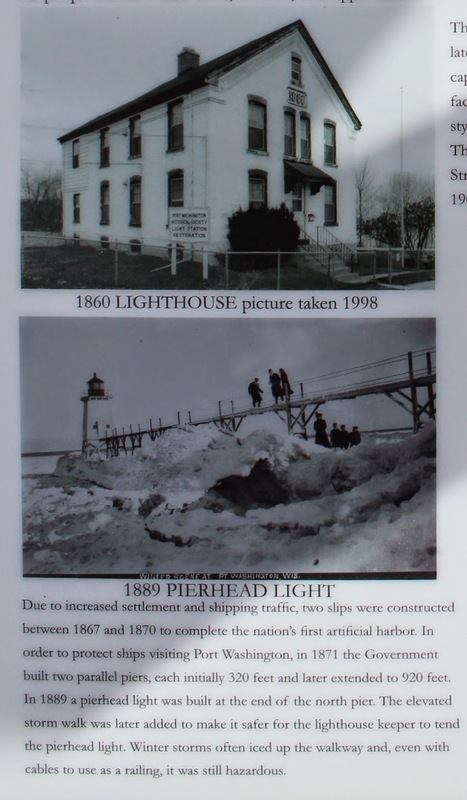 In order to protect ships visiting Port Washington, in 1871 the Government built two parallel piers, each initially 320 feet and later extended to 920 feet. 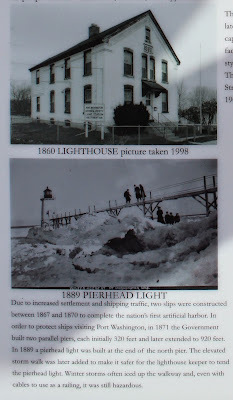 In 1889 a pierhead light was built at the end of the north pier. The elevated storm walk was later added to make it safer for the lighthouse keeper to tend the pierhead light. Winter storms often iced up the walkway and, even with cables to use as railing, it was still hazardous. 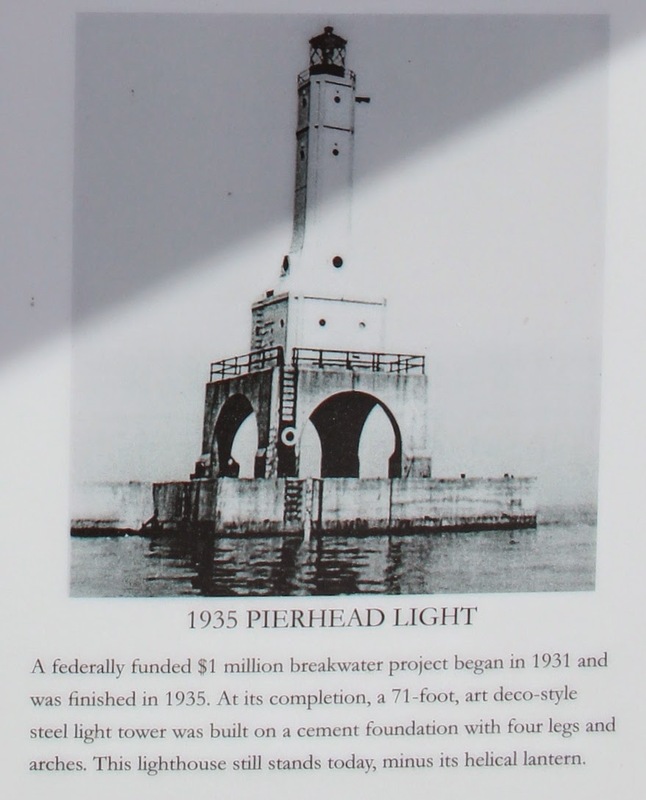 A federally funded $1 million breakwater project began in 1931 and was finished in 1935. At its completion, a 71-foot, art deco-style steel light tower was built on a cement foundation with four legs and arches. 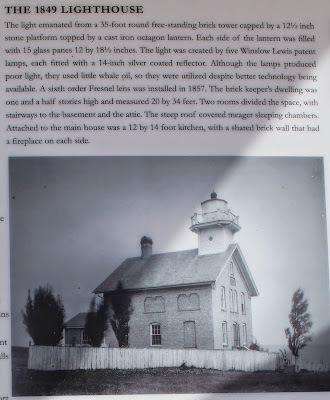 This lighthouse still stands today, minus its helical lantern. 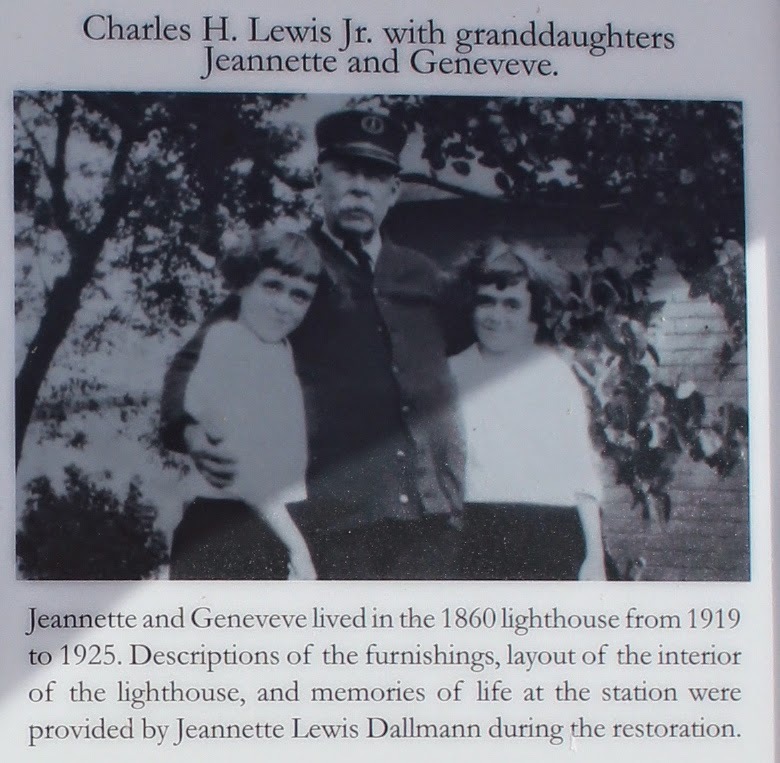 Jeannette and Geneveve lived in the 1860 lighthouse from 1919 to 1925. 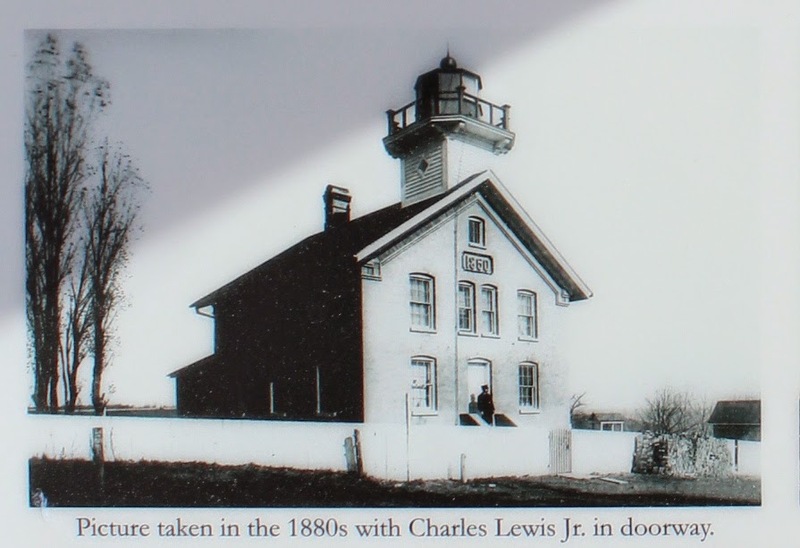 Descriptions of the furnishings, layout of the interior of the lighthouse, and memories of life at the station were provided by Jeannette Lewis Dallmann during the restoration. 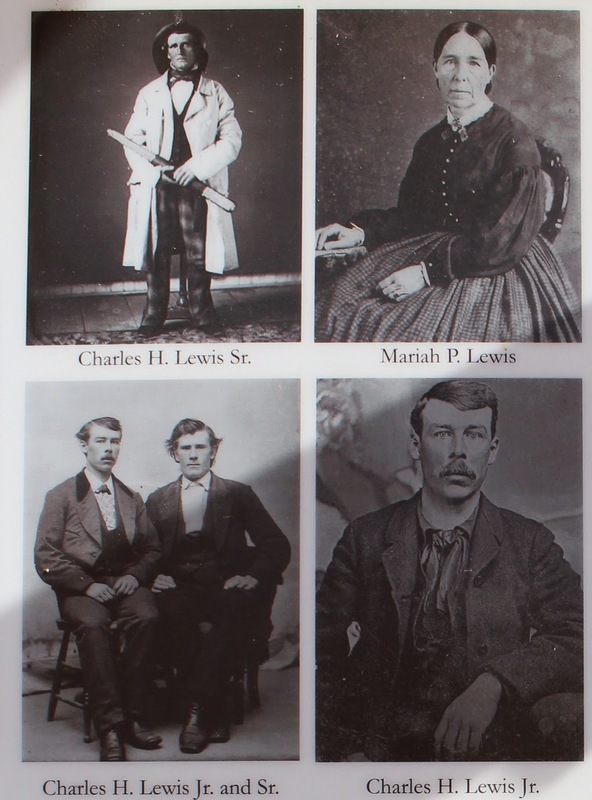 Picture taken in the 1880s with Charles Lewis Jr. in the doorway. 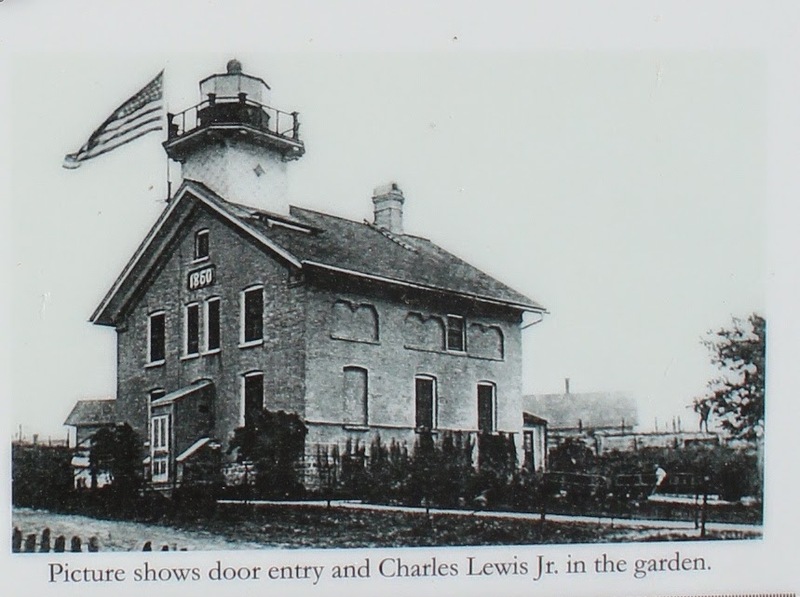 Picture shows door entry and Charles Lewis Jr. in the garden. With Lake Michigan in the background. Such a beautiful lighthouse and location! 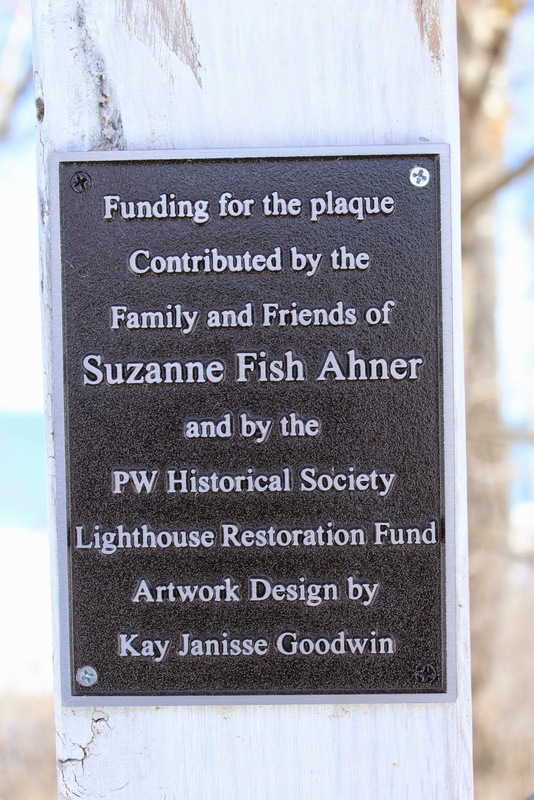 The lighthouse and marker are located in Port Washington, Wisconsin.